Active Environments and Shape of Enrichment are proud to present the sixth Training and Enrichment Workshop for Zoo and Aquarium Animals. The Workshop returns to its original host institution, Moody Gardens, which thanks to Hurricane Ike, is newly renovated and offers exciting opportunities for participants. This unique five-day Workshop is designed for keepers, aquarists, managers, supervisors, curators, and veterinarians working with all species of animals held in zoos, aquariums, rescue centers, and sanctuaries. 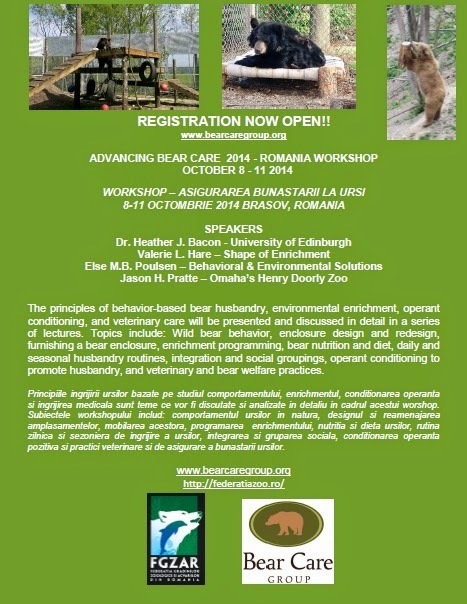 The Workshop will present an array of topics related to the behavioral management approach to caring for captive animals, with a focus on environmental enrichment, positive reinforcement training, and the problem-solving process. Workshop format includes lecture, discussion, small group projects, demonstrations, and hands-on training and enrichment opportunities with Moody Garden’s diverse collection. 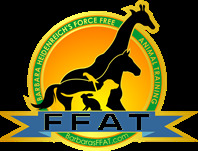 Skills taught are directly related to enhancing staff’s ability to manage animal behavior, improve animal welfare, and provide optimal care for captive animals. The Workshop format is designed to maximize the value for each participant and to address your specific situations, needs, problems, and objectives. Be prepared to interact, share, and participate to make the experience as useful and relevant to you as possible. If using credit card, add 5% processing fee. The biggest story of the week was 'Baby meets Bilby', a tremendous win for Taronga Zoo. I was shocked and saddened to learn of the death of Nick Ellerton. Every time a colleague I know passes away I become only too aware of my own mortality. My sincere sympathies to friends and family. A different kind of shock, coupled with dismay and disgust hit me when I learned that Pairi Daiza Zoo had moved in a pair of White Tigers. Commitment to conservation? That's a lie. I don't care how you dress up the argument as I can see right through the holes in it. In fact I could drive two double decker buses abreast through them. Today was World Penguin Day. Sadly this was ignored by most press. I can't say that I am surprised. The weather here is really starting to heat up. Lilli and I continue our evening walks but leaving it now to well after sundown. 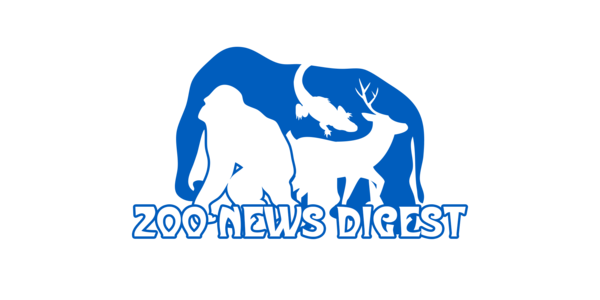 I am extremely grateful for those few donations I get for advertising on Zoo News and the Zoo Jobs page. They help keep my internet bill down. Thank you. At the beginning of the UK zoo renaissance during the 1980s, Nick Ellerton was working at Chester Zoo as Assistant Curator of Mammals. As a young and rather handsome man, his knowledge of wildlife and his over-all demeanor belied his years and he was, right from the outset, one of the “old school” who throughout his long and varied career never lost sight of the most important aspect of zoo keeping – animal welfare. In those formative days Nick was one of the driving forces behind the early committees that pre-dated most of the animal TAGs that we know today. He was “the young pretender”, considerably younger than most of his counterparts, with a thirst for knowledge and a desire to get things done, along with a healthy acceptance of collateral damage along the way should the established old guard need the occasional push or shove in the right direction. His knowledge of wildlife, wild places and conservation was staggering. So too was his depth of expertise across a vast array of exotic animal species kept in zoos. Against a backdrop of increasing complexity in terms of the way animal collections operate, Nick was the unfailing pragmatist who always provided straightforward and down-to-earth solutions to any problems or issues that came along. Nick Ellerton held the passionate belief that zoo animals should be left to behave like animals and should not be over managed or used merely as objects of entertainment. He sat on the first Anthropoid Ape Committee and later on he was one of an original group of concerned people who began to question the way we look after elephants in captivity. Ironically, nearly four decades later some of those same questions and concerns about captive elephant care persist and remain unanswered. Nick was a social, avuncular person who was passionate about all aspects of his work and the natural world in general. He made friends easily but held strong, sometimes immovable views that, as with anyone unafraid to stand up and be counted, meant he had his critics too. Nick was never one to compromise his values or shy away from controversy and he was certainly not one of those people who felt the need to be liked by the politically correct majority. He could morph seamlessly from a formal, high-powered business meeting to the classic raconteur over cocktails and dinner. It has been my privilege and pleasure to have known Nick Ellerton, both as a work colleague and as a good friend. In my mind`s eye, during quiet moments of reflection, I can picture him in various settings around the world, from watching elephants in Sri Lanka to tracking chimps in Nigeria. The best, and perhaps the situation most representative of Nick, is to imagine him on a warm summer’s day fishing the salmon run on the Tay, a half drunk bottle of red resting in the grass. This is how and where I will remember him - because this was the place he loved best. Samson was two when he went under the knife. It took six hours to remove the lump of bone that had become embedded in his brain, causing him to lose balance and stagger about. Before the operation could begin, his thick mane had to be shaved off the back of his neck. Afterwards, the news of his recovery made headlines worldwide. It isn't every day that a lion gets a brain op. Samson, a Barbary lion at the Hai-Kef zoo near Tel Aviv in Israel, was probably the first member of his species to be treated for a life-threatening skull malformation in 2005. But it now seems he is not alone in suffering from the condition, which disproportionately affects lions living in captivity. Zoos report a high incidence of death in young captive-bred lions. Many of these deaths have been anecdotally linked to bone malformations, especially a thickening at the base of the skull. Abnormal bone growth around the foramen magnum – the hole that the brain stem passes through to connect the brain to the spinal cord – can squeeze parts of the brain that control things like balance and movement. This causes tremors, loss of balance and unusual head tilts – hence Samson's strange behaviour back in 2005. Until now, it wasn't known whether these malformations were specific to zoo animals, or just as frequent in the wild. So Joseph Saragusty of the Leibniz Institute for Zoo and Wildlife Research in Berlin, Germany, and colleagues compared 575 lion skulls – 512 from wild lions and 63 from lions that had been raised in captivity. They found evidence that the foramen magnum was significantly smaller in captive animals. Photos of Prince George enjoying a curious meeting with a bilby named after him while on a trip to Sydney’s Taronga Zoo on Sunday not only elicited a collective “aww” from the Internet, but also posed the (very serious) question: what on earth is a bilby? Pairi Daiza Zoo - Just What are they Playing At? After the recent much publicised arrival of Giant Pandas at the Pairi Daiza Zoo in Belgium the collection seems to have lost the plot. Pandas are rare and under threat in the wild and are part of a managed breeding programme. The press made mention of this so many times that one could easily be brainwashed into thinking that conservation was really important to them. Well now they have brought in a young pair of White Tigers which shows the exact opposite applies. White Tigers are not rare or endangered. They are not even a subspecies. They may be beautiful but they are deliberately inbred freaks of nature.....no different really to a two headed turtle. The man who founded the Night Safari - a world-first when it opened in 1994 - has another radical idea. Mr Bernard Harrison revealed yesterday that he has suggested to the Singapore Tourism Board the creation of an "un-zoo", in which visitors can enjoy "random" up-close encounters with trained animals like monkeys and otters. Such encounters, orchestrated by guides, will be more exciting than seeing animals "behind glass", he said. It’s the latest twist in a story that has made the news worldwide, and that began earlier this month when a male brown bear, known as Misha, killed one of its two offspring – “baby bear 3” – after repeatedly tossing it into the air in full view of shocked zoo visitors. Kurt Nünlist, a train driver from Solothurn, says the Dählhölzli wildlife park behaved recklessly in allowing the 360-kilogram male to share an enclosure with its mate and her two cubs. After the “predictable” killing of one cub by its father, the zoo authorities took the decision to euthanise the second baby, sparking a public outcry. Nünlist says Dählhölzli must be held accountable for its actions, which would otherwise be “swept under the carpet”. Approached by The Local, the zoo was unavailable to comment on the case. Under Swiss law “pain, damage or suffering must not be unjustifiably inflicted on an animal, nor must any animal be subjected to severe anxiety. The neglect, overexertion or mishandling of animals is forbidden,” according to the Swiss Veterinary Office, FSVO. Carsten Hertwig, bear expert with the Swiss branch of the Four Paws animal rights organisation, is supportive of Nünlist’s action. “From a moral and ethical standpoint we agree with him: it is animal cruelty. But only time will tell what his legal chance of success is,” he tells The Local. 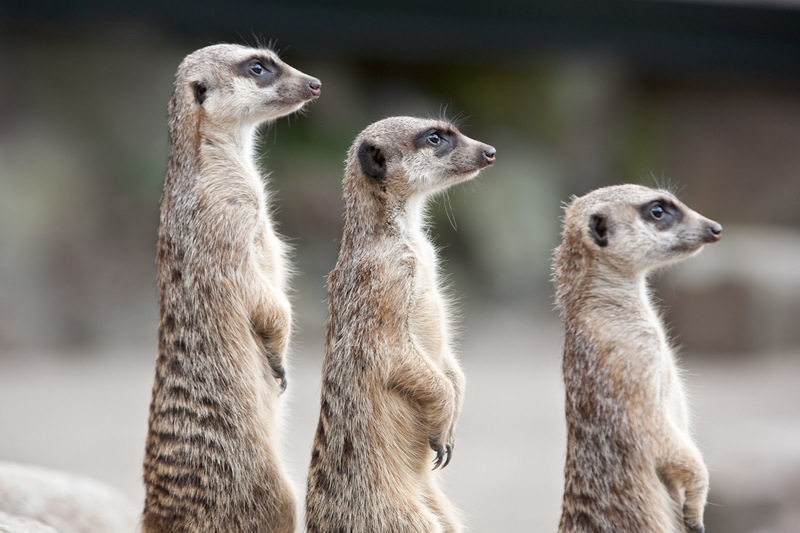 How do zoos prepare for dangerous animal escapes? As the Easter Bank Holiday gets under way, many people may be contemplating a trip to their local zoo. This is generally accepted as a safe, family-friendly activity but in fact, escapes by wild animals are not unheard of. Imagine the scenario. Unpredictable carnivores break through the steel wire of a zoo enclosure and are on the loose. It is every zookeeper's nightmare. Yet for keepers at Colchester Zoo six months ago, that fear became a reality when five wolves managed to escape. Somehow they had broken through a special steel mesh fence - a fence the zoo says was checked on a daily basis. Three wolves were shot dead and two were tranquilised. To the zoo's relief, though, no members of the public were harmed. The Jihlava zoo at last succeeded, on the fourth try, in delivering a rare snow leopard to a partner zoo in India today, after three unsuccessful attempts when the transfer was thwarted by unexpected obstacles, the zoo's spokeswoman Kateřina Kosová told ČTK. Fici, the three-year-old leopard male, was raised in Jihlava and he was to leave for Calcutta on April 9 to reinforce the snow leopard population in India's Padmaja Naidu Himalayan Zoological Park. "Today we've been informed that the snow leopard has reached India at last," Kosová said. On April 9, Fici's planned departure from Jihlava was cancelled in the last moment over the Indian partner's refusal to take the animal over in the evening hours. Another date of departure was set for April 14, when a van with Fici set out from Jihlava for the Prague airport, some 120 km far westwards. However, the D1 motorway was jammed due to ongoing repairs, which delayed the van and Fici missed his flight. "On the third try, the leopard arrived in Prague but the air carrier's staff returned him to us because they disliked his transport box," Kosová said. 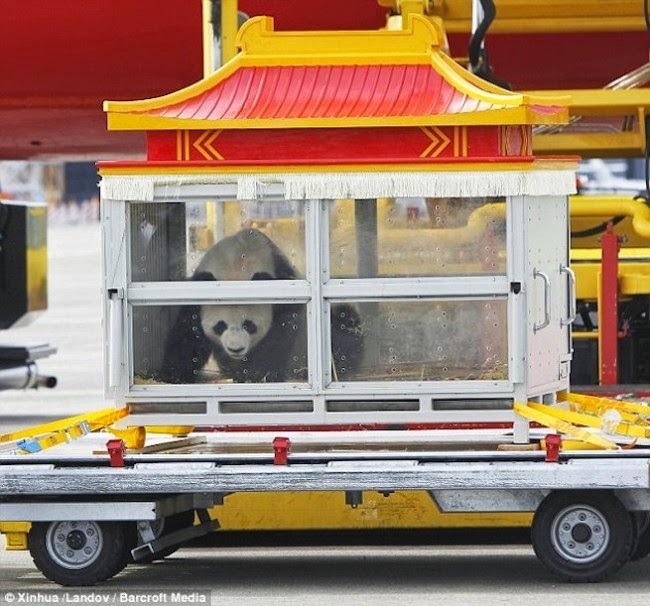 She said Fici was traveling in a box which the zoo had used to transport animals many times before. The year that we were married, my husband and I were given a truly wonderful gift: a honeymoon safari to southern Africa. It was an amazing experience. We now have all the magical memories that one would hope to bring home from a safari: the fresh lion kill, the mother elephant tenderly caressing her baby, the warthog crashing through the undergrowth with a leopard in hot pursuit. I could go on (and on and on), but nothing’s more pretentious than regaling people with tales of your honeymoon safari, so I’ll just reiterate once more: completely fabulous. In front of a stadium of screaming crowds, three Beluga whales dance, wave and high-five. It seems like innocent entertainment, attracting thousands to Changfeng Ocean World in Shanghai every day. But today, the company that owns the park and dozens of others worldwide, including Alton Towers, has been accused of animal cruelty and ‘double standards’. Merlin Entertainments, which owns 44 SeaLife aquaria across the globe, claims to be leading the fight to free Beluga whales and dolphins from captivity, and makes no mention of their performing trio – Junjun, Uka 1 and Uka 2 – on their British websites. Research Training Seminar in collaboration with Syddansk Universitet in Odense, Denmark. SeaWorld’s Shamu show provides such substantial benefits to killer whales in the wild and to the entire ocean that it would be tragic to shut it down. Killer whales in the wild face habitat and prey depletion, and the International Institute for Conservation of Nature is unable to get specific data on the numbers in the wild. The SeaWorld Entertainment Inc. facilities contain the majority of killer whales in captivity with SeaWorld investing $70 million in their facilities in the last three years according to SeaWorld’s website. Killer whales’ behavior places them in a uniquely vulnerable situation. As apex predators they have no natural predators, and damage to a species on their food chain undercuts their food supply. Meaning damage to the ocean is likely to impact these whales. This summer, Assiniboine Park Zoo is set to open a new $90-million polar bear exhibit, Journey Into Churchill, as part of a $200-million redevelopment. The zoo’s website says the new exhibit will "combine elements focused on research, conservation, education and public display to provide a venue that will bring the North to mainstream Canadians." The work of Assiniboine Park Zoo in its efforts to aid both polar bears, as well as northern communities often affected by their unwelcome presence, is certainly commendable. The problem I, along with many other Canadians, have is with the primary purpose of zoos, that "public display" of animals. At a time when much of the collective Canadian consciousness is moving away from industries and businesses that exploit or harm animals (the banning of gestation crates, boycotting of marine parks, closing of pet shops, etc.) more Canadians are seeing zoos as yet another institution that should be going the way of the dodo bird. Like most zoos, Assiniboine Park Zoo has always operated with the apparent purpose of educating the public and conserving animal species. Times, however, have changed, and no longer can zoos hang on to the same rationales that once made them legitimate. Modern technologies, such as the Internet and other interactive tools, along with our current knowledge regarding the harms of keeping animals captive, now render zoos unjustified and unethical. Interactive educational tools, such as those already found in modern museums and science centres, offer suitable alternatives to displaying live animals under the guise of education. In fact, a great portion of the new Journey Into Churchill exhibit will not feature any live animals. So, why have them at all? In the case of one Assiniboine Park Zoo polar bear, Aurora, who was captured as a cub after being discovered alone in a residential area of Churchill, Assiniboine Park Zoo officials would have us believe they offered happily-ever-afters to both the bear and the community it was potentially threatening. Unfortunately, such a tale is just that, a tale. As Morgan the orca leaps through the air under her trainer’s instructions, British tourists cheer the ­awesome spectacle. None of the holiday families know that this captive creature – performing as loudspeakers pump out Gloria Gaynor’s hit song I Will Survive – was born free in the ocean. The killer whale now performs what environmentalists describe as demeaning circus tricks in a “concrete coffin” up to three times a day. And they fear Morgan’s two-and-a-half-year incarceration at Loro Parque Zoo on the Spanish holiday island Tenerife has taken a heartbreaking toll. Campaigners say the anguished mammal is covered in scars and ­painful open cuts and bruises after repeatedly bashing her head and body on the side of her enclosure. They describe it as a deliberate and horrifying display of frustration. They say the young animal, part of the dolphin family, also has over 600 bite marks from repeated bullying by larger adult orcas at the park, Tenerife’s biggest tourist attraction with one million visitors a year. Now animal rights groups, including the Free Morgan Foundation, the Born Free Foundation and British Divers Marine Life Rescue, are ­lobbying to liberate her from what they call her Spanish hellhole. The North Carolina Zoo, in Asheboro, NC, got a big honor for its environmental efforts. This week the zoo was recognized as an Environmental Steward by an advisory board appointed by the N.C. Department of Environment and Natural Resources. The honor is for organizations that demonstrate superior performance beyond what is required. One of the newspaper stories covering the arrival of the White Tigers states "An exceptional animal since the planet currently count just over 200: only a few in the wild and all others in zoos and circuses, which are subject to scrupulous breeding programs." There are more than 200 in China alone. In fact there is NO official breeding programme for the White Tiger simply because they are freaks of nature. Will it be White Ligers next? It is when I hear about zoos going down this dirty road that I really start to wonder about the direction that organisations like EAZA and WAZA are headed. They really need to do something. Condemnation would be a good start.